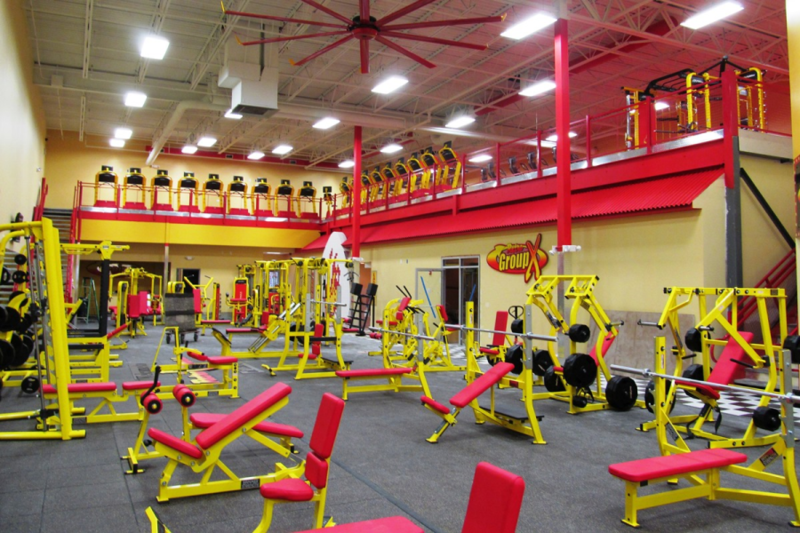 Retro Fitness – Lacey Township is a brand new state of the art facility that recently joined the ranks of the successful exercise franchise. 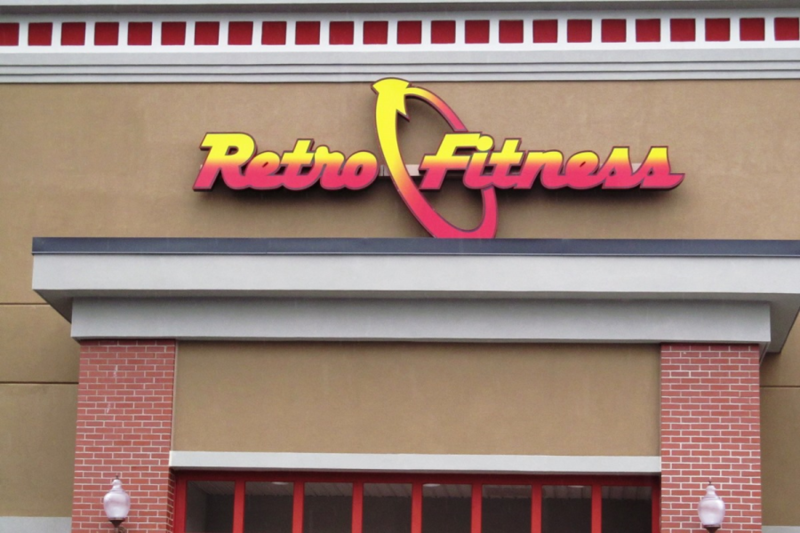 This location features a cardio movie theater, a retro blends juice bar, top notch equipment and instructors, along with everything else you would expect from a Retro Fitness location. 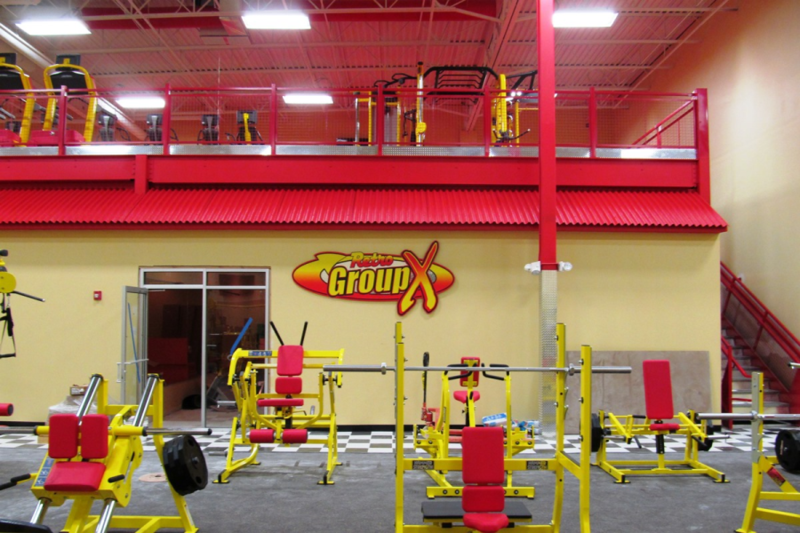 To make room for all of these features, they needed to create additional space within the building. A mezzanine was a good solution, but they needed to make sure the mezzanine would be designed to meld with the plans for the new location. 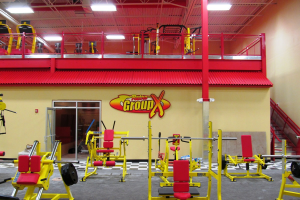 To help, they contacted The Mezzanine Company, as we had prior experience providing mezzanines for other Retro Fitness locations. 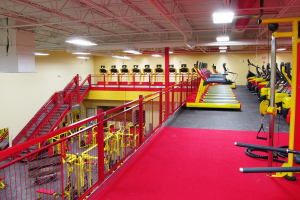 Working closing with the architect for the project, we provided a design for a mezzanine to serve as a cardio deck for them. 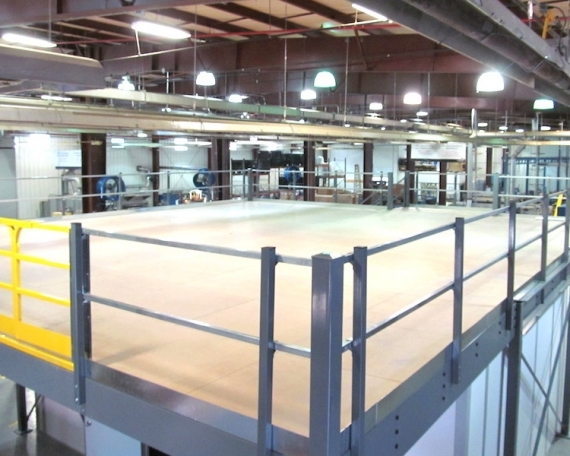 The mezzanine was designed with two IBC regulation staircases; one at both ends of the “L” shaped deck. 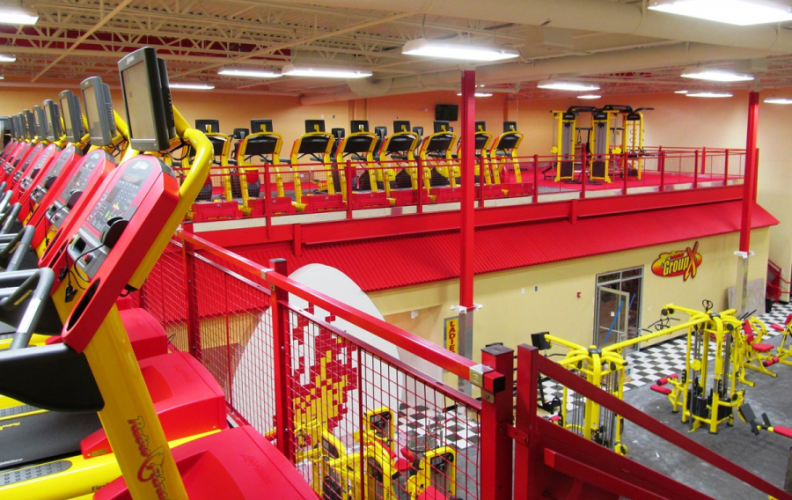 Also, some components of the mezzanine would be specially painted Retro Fitness red to match the overall look and feel of the location. 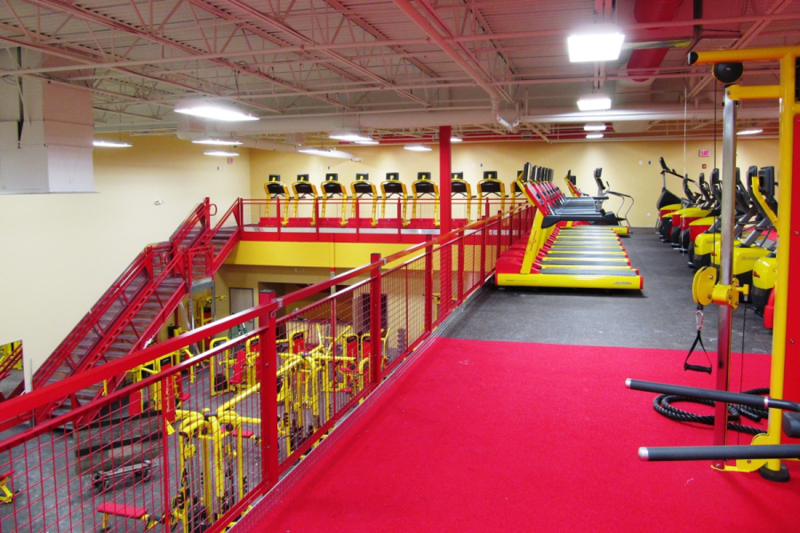 Because the mezzanine was custom designed to fit into the new location, there were some required changes that had to be made throughout the process. To reduce the load on the floor, base plate sizes had to be increase. 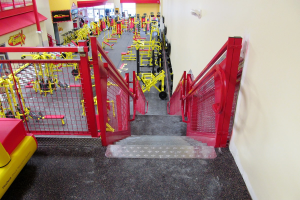 And then, since the new base plate sizes would interfere with the build out around them, we worked with Retro Fitness to recess the base plates into the floor. 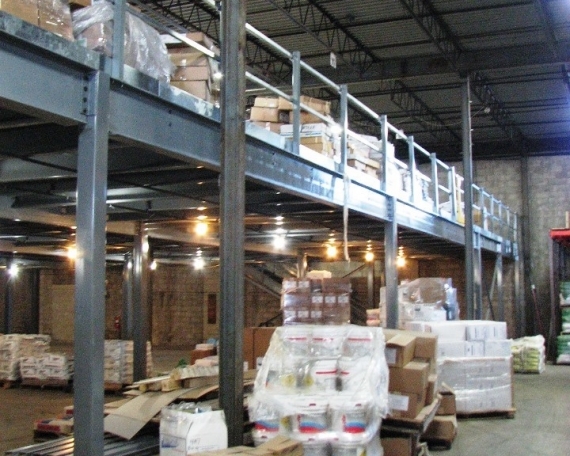 Throughout the process, we coordinated with all parties to work through all of the obstacles. 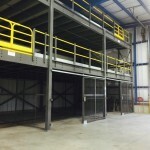 As the time to deliver and install the mezzanine came closer, we were informed of some delays in construction. 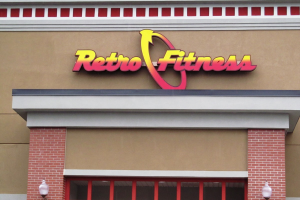 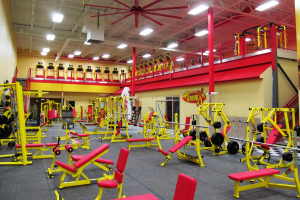 We worked closely with Retro Fitness, the general contractor, and our installers (who were coming from out of state) to move back the installation start up date to ensure that the site could be cleaned up in time so that it was ready for the installers to work the day they arrived. 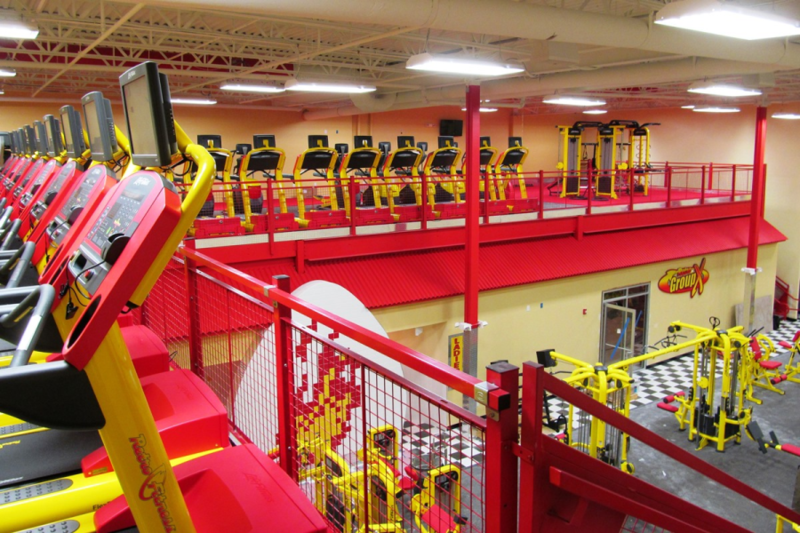 Once we were cleared to deliver and install, our installers worked quickly and efficiently and soon Retro Fitness’ new 2,700 square foot cardio deck was finished. 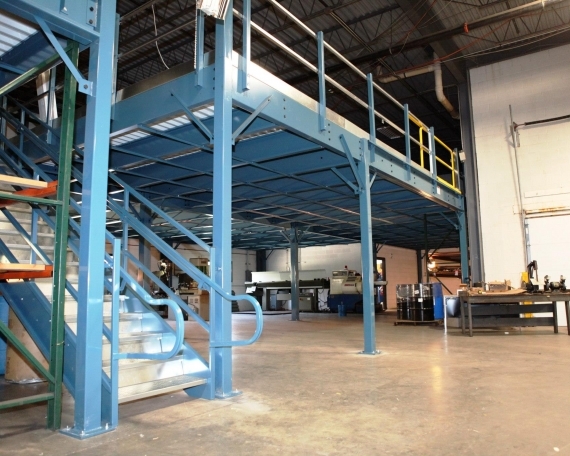 Just fill out our short form and one of our mezzanine experts will contact you right away. 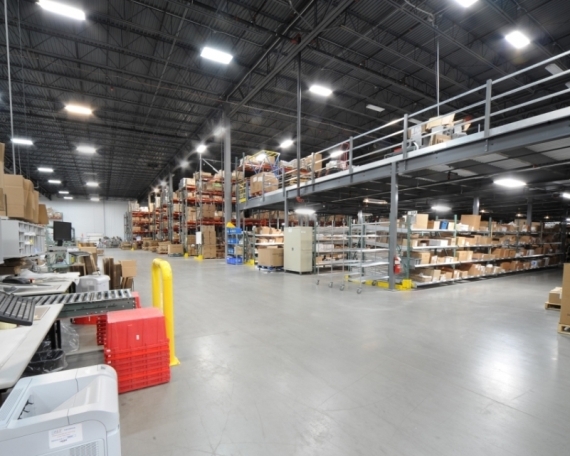 Call us with any questions at 908-647-0029 or click here to send us a message.